I’m very pleased to share a new iBook just published by my Social Studies Methods class at the University of Portland. Interactive iBooks available free at iTunes. It features thirteen engaging questions and historic documents that empower students to be the historian in the classroom. The units draw from a fascinating collection of text and multimedia content – documents, posters, photographs, audio, video, letter and other ephemera. “Stop-and-think” prompts based on CCSS skills guide students through analysis of the primary and secondary sources. Essential questions foster critical thinking. All documents include links back to the original source material so readers can remix the content into their own curated collections. The lesson design process began early in the semester when students designed lessons in historical thinking skills based on the work of Sam Wineburg and the Stanford History Education Group (SHEG). They focussed on three key skills – Sourcing, Contextualizing and Corroborating. Then students identified essential questions worth answering and gathered documents to explore the question in an extended lesson design process. Exploring History: Vol III was our PBL capstone and is available on iTunes in 51 countries around the world. Here’s a post (from fall ’13 class) that describes our project workflow (including how we utilized iBooks Author). 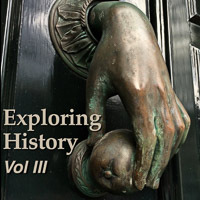 Here’s Exploring History: Vol I created by my fall 2013 class. 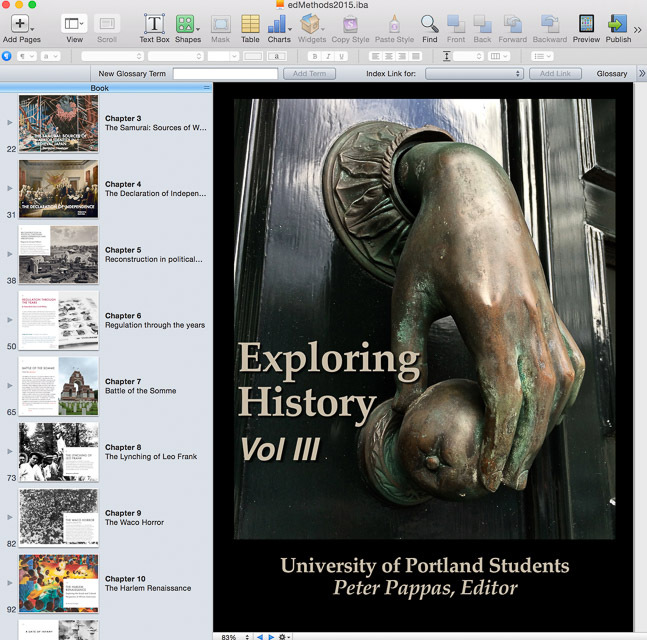 And Exploring History: Vol II designed by my fall 2014 class.